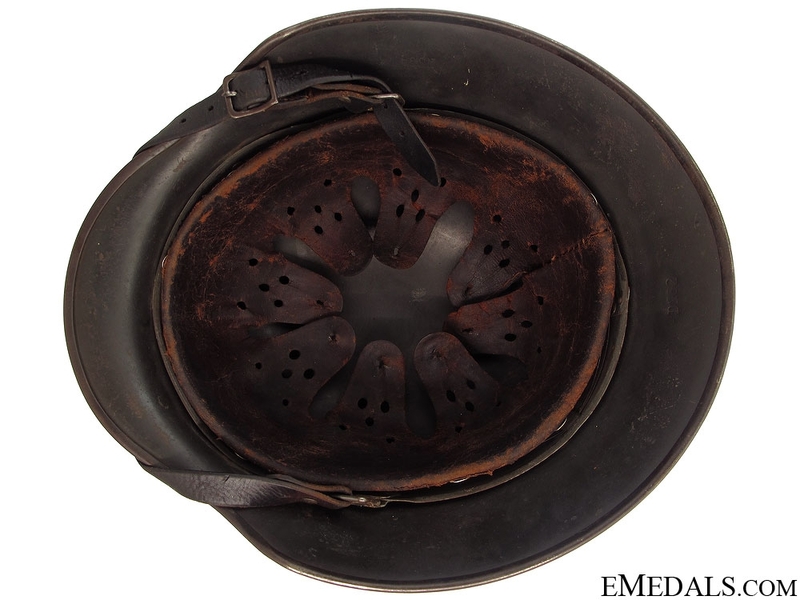 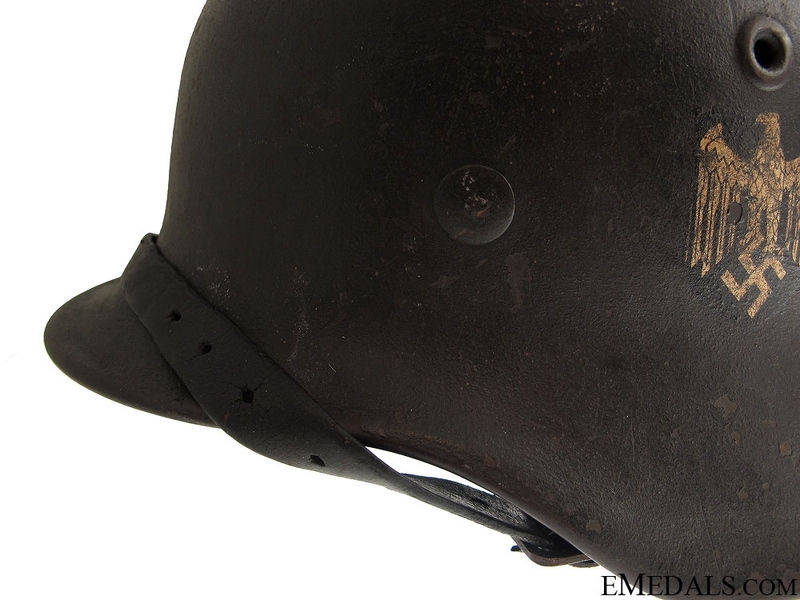 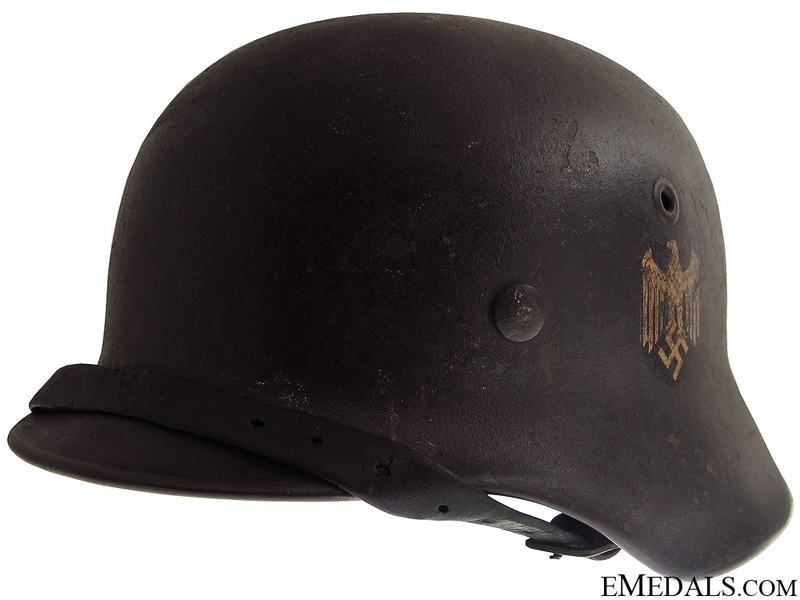 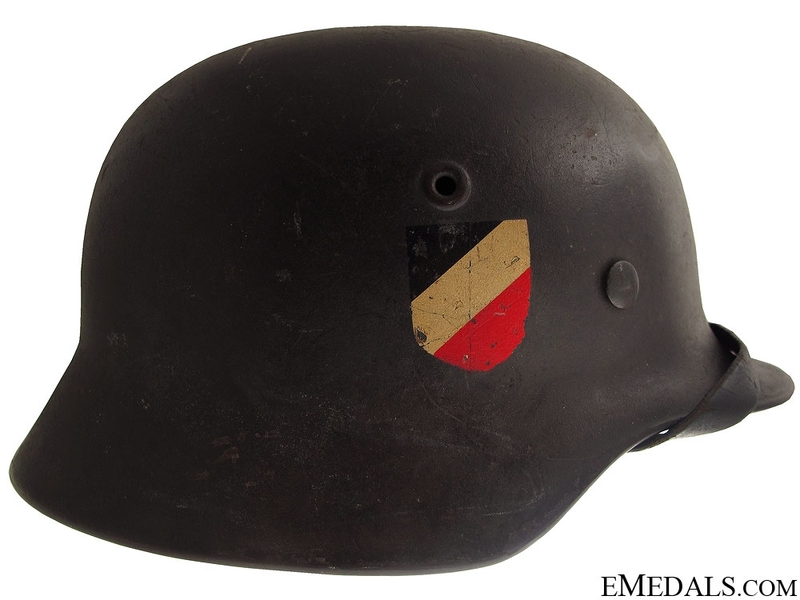 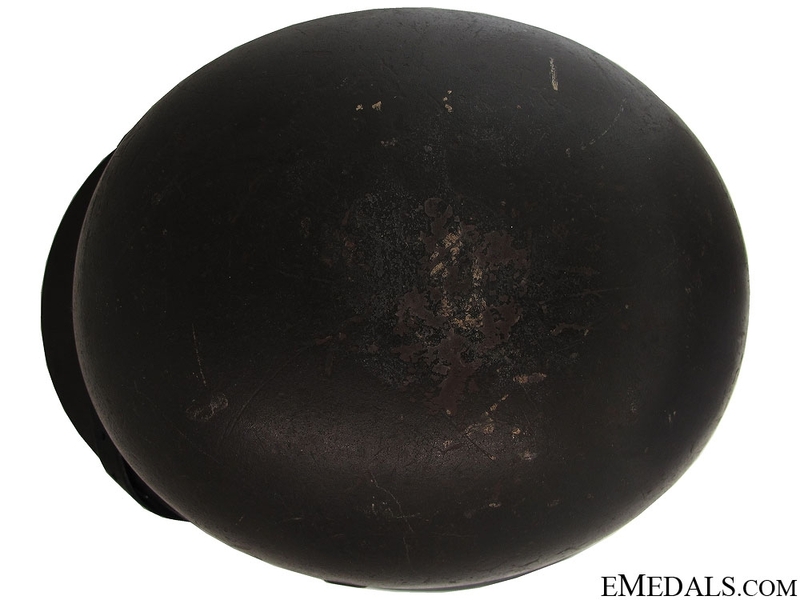 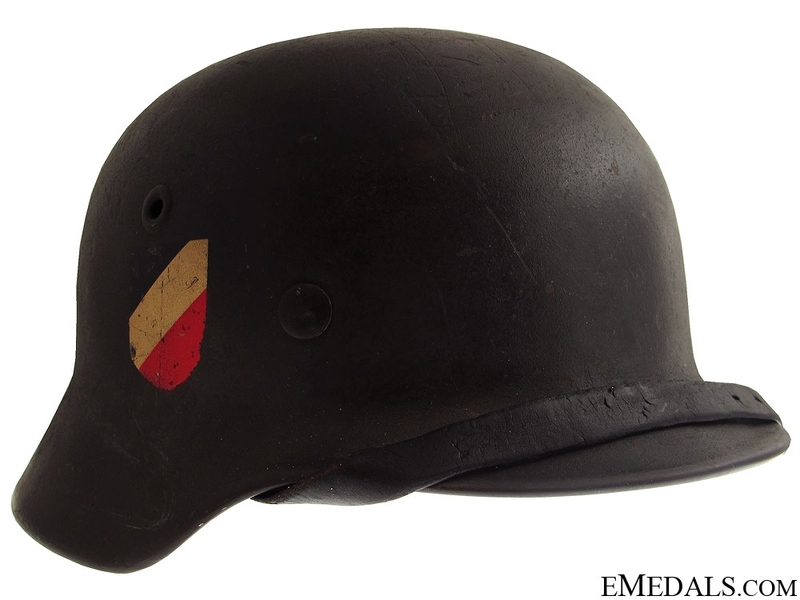 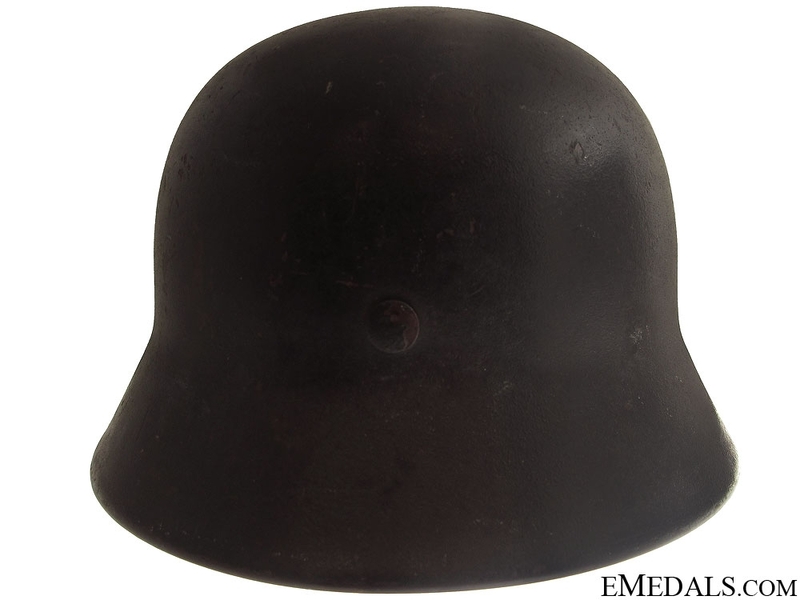 A Double Decal M40 Army Helmet - This very scarce double decal helmet has a dark green combat finish, and overall the finish remains approximately 85% intact. 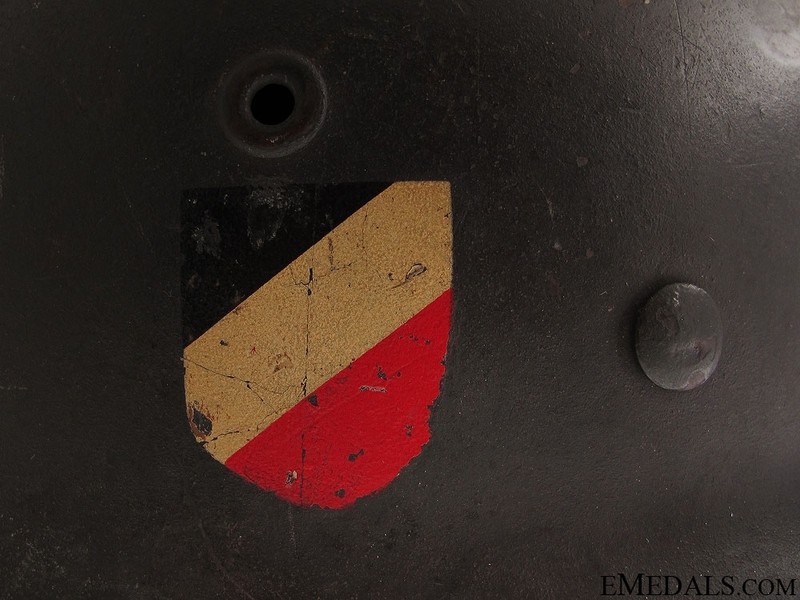 Decals retain about 90% original finish. 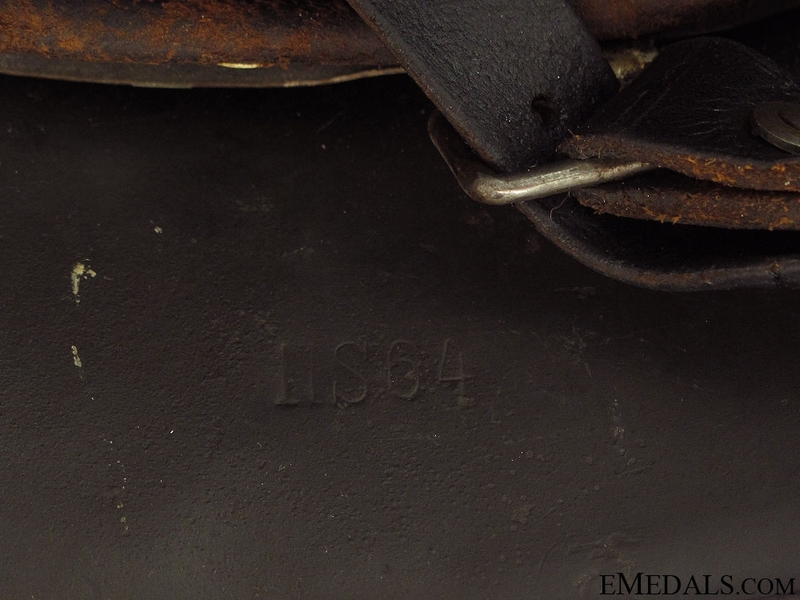 Inside, there is a dark brown leather liner, exhibiting moderate wear. 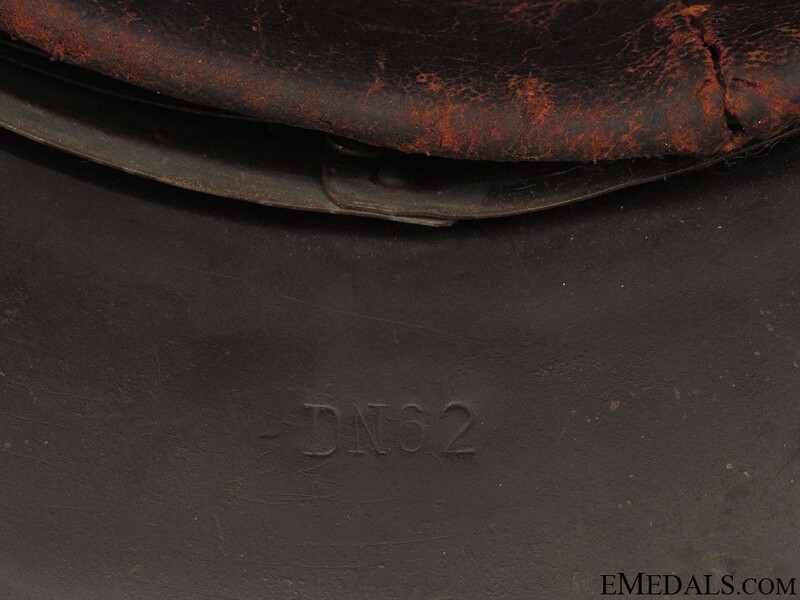 The side of the interior is stamped "DN62 " and "NS64". 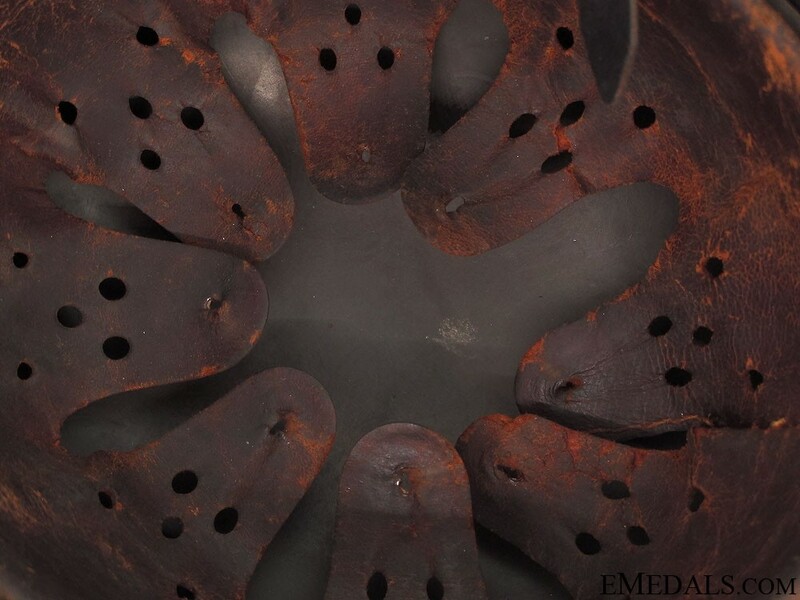 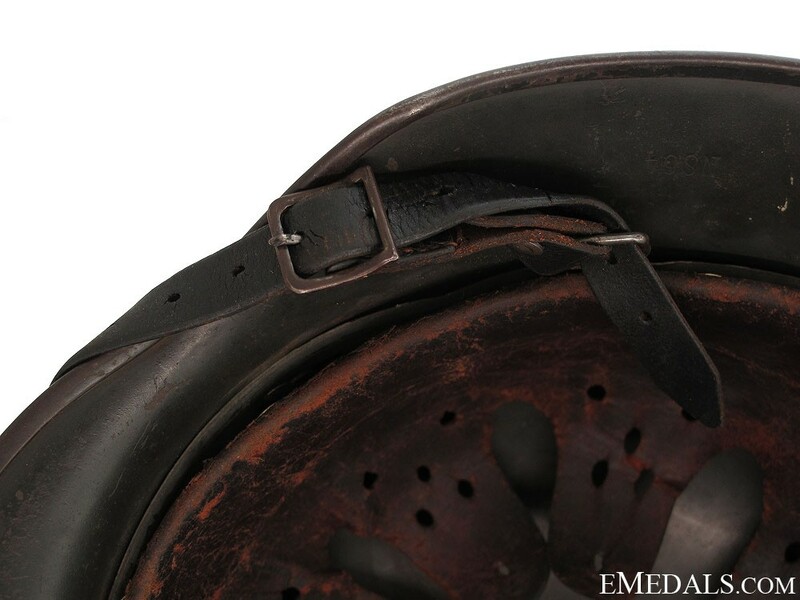 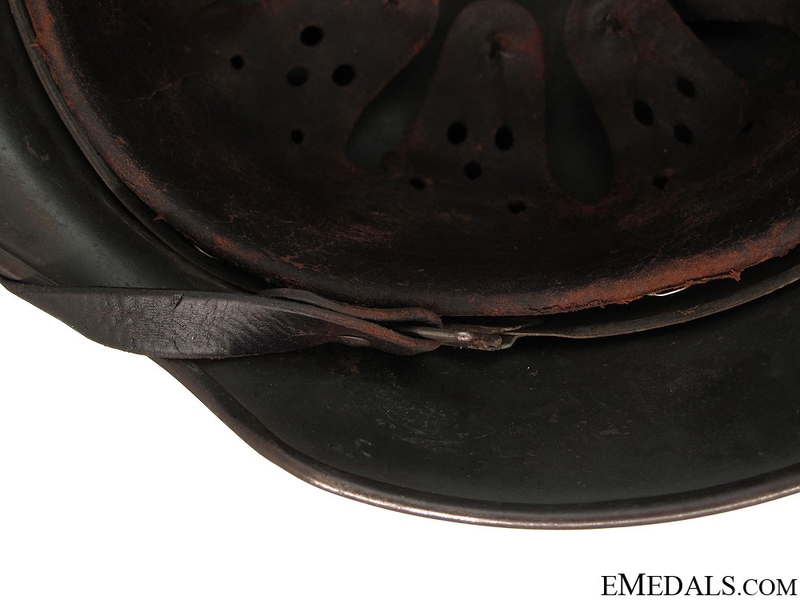 There is a sound brown leather chinstrap with metal fittings. 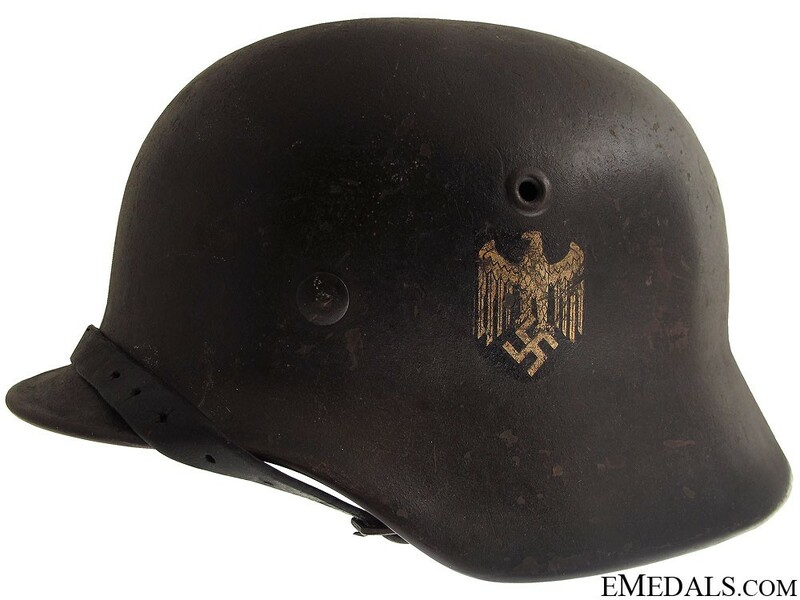 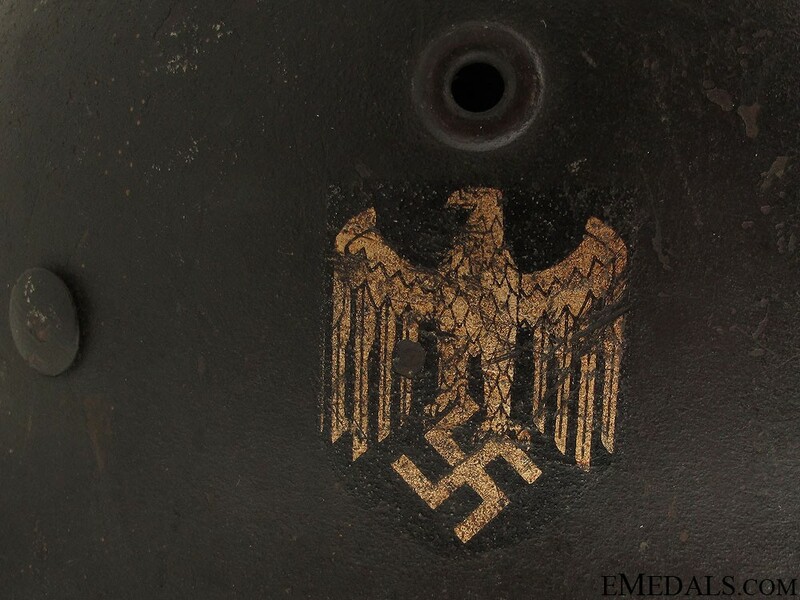 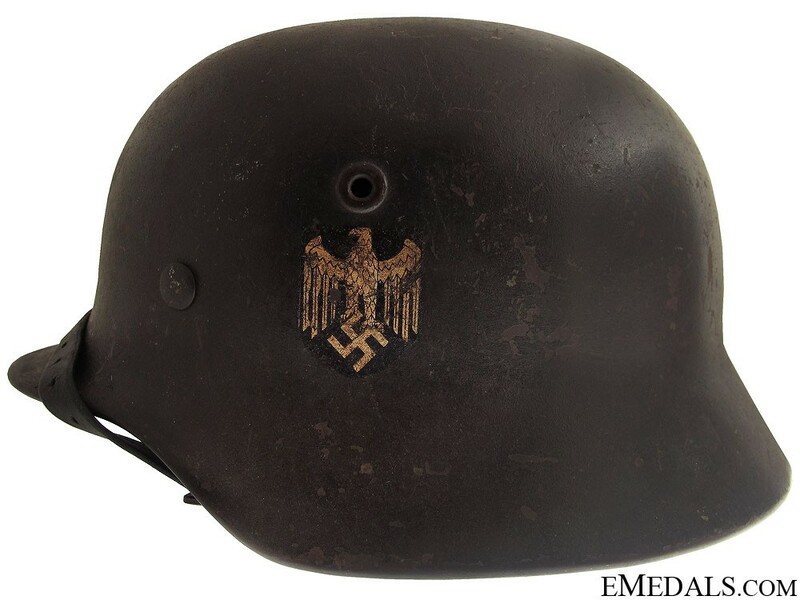 Overall, this helmet is in very fine condition.